Are you trying to find the perfect house for sale in Blackrock. Let Perfect Property simplify the search. If you're new to the area or looking to make the move, find out everything you need to know about Blackrock. Blackrock is a seaside suburb in South Dublin that comprises a bustling village and number of public amenities. 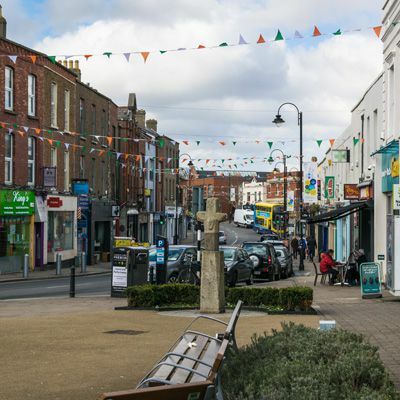 The population of Blackrock is just under 30,000, and its close proximity to Dublin city make it an area very much in demand. The town centre is served by a DART station, from which Dublin City can be reached in about 10 minutes. Blackrock’s main DART station is a convenient 2-3 minute walk from historic Blackrock Park. The other Blackrock DART station, The Seapoint, services the Southern parts of town. If quiet is what you’re seeking, Blackrock is also centrally located to seaside villages such as Dun Laoghaire, Dalkey, Bray and Greystones. What Are Popular Property Types in Blackrock? Blackrock is sprawling with custom luxurious homes. The town features Georgian mansions, contemporary dwellings, Tudor style family suites, Villa style, Cottage style and Edwardian style homes. Many Blackrock residences have recently been refurbished; homes boast magnificent modern amenities, and plenty of room for growing families. Blackrock is especially charming due to the town’s unique mixture of old world period homes that are both spacious and high in energy efficiency. Blackrock Park is a large open area where residents can take seaside strolls and children can use the playground. There are two large shopping centres in Blackrock and a number of other retailers along the high street. Blackrock is most well known for: Blackrock Market, Millrace Gallery, Temple Gallery, Mahon Golf Course, and Waldock Art Gallery. If you’re a foodie, Blackrock is rich in popular cafes, restaurants, and pubs. Enjoy the taste of various cultures; with the many options Blackrock offers, there is something for every palate. Local Gem: 3 Leaves, an award winning Indian restaurant hidden away in the alleys of Blackrock Market. A must-try dining experience in Blackrock. Educational opportunities are numerous also, with many primary and secondary schools nearby. University College Dublin is located under 4km away. Blackrock is notable in the IT, service, and banking industries, with many high-end opportunities available in finance. Blackrock is also home to the country’s best-known private hospital, Blackrock Clinic. You can filter Blackrock properties by price, bedroom size, square footage and more. There is also the option to filter by a property must-have, such as 'high potential' if you are seeking a house to buy in Blackrock where you can add your own stamp, or even a back garden or a spacious home. You can also check apartments for sale in Blackrock if you are looking for something a little smaller. Don't let the perfect apartment, townhouse or house for sale in Blackrock get away. Looking to rent in Blackrock? Search houses for rent in Blackrock and filter by home types, price and size.